Eos by John Francis (1780-1861), with Prince Albert. Bronze, on a rectangular pink granite plinth. 1845. On the Upper Terrace at Osborne House, Isle of Wight, overlooking the formal gardens there. 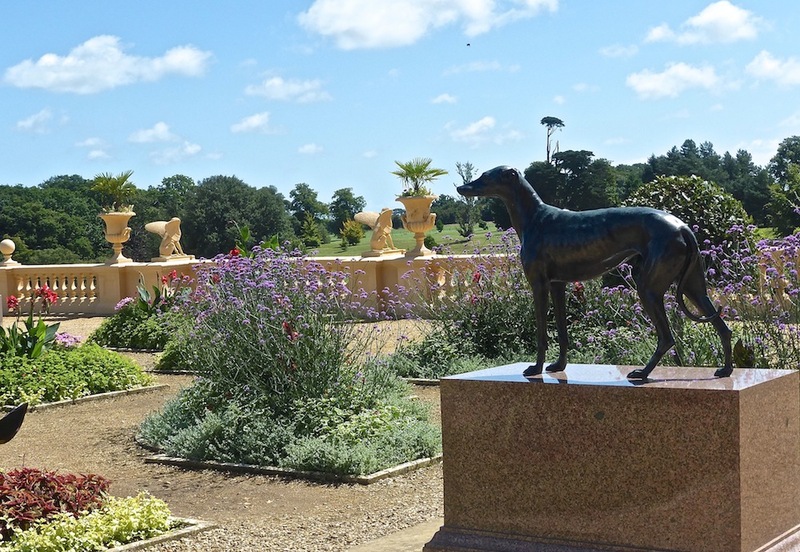 When Prince Albert's beloved greyhound Eos died in 1844, the Prince turned to Francis, one of the favourite royal sculptors, to help him create a statue of his much-missed pet. They were guided by Sir Edwin Landseer's famous painting, Eos, of 1841. According to Benedict Read, Prince Albert modelled the dog himself under Francis's guidance, and Francis then cast it in bronze (139). But since it was modelled with Francis's help, and, in view of the close collaboration, it is described in the Royal Collection itself as being "by John Francis and Prince Albert" (Marsden 104). Francis exhibited it at the Royal Academy in 1848. 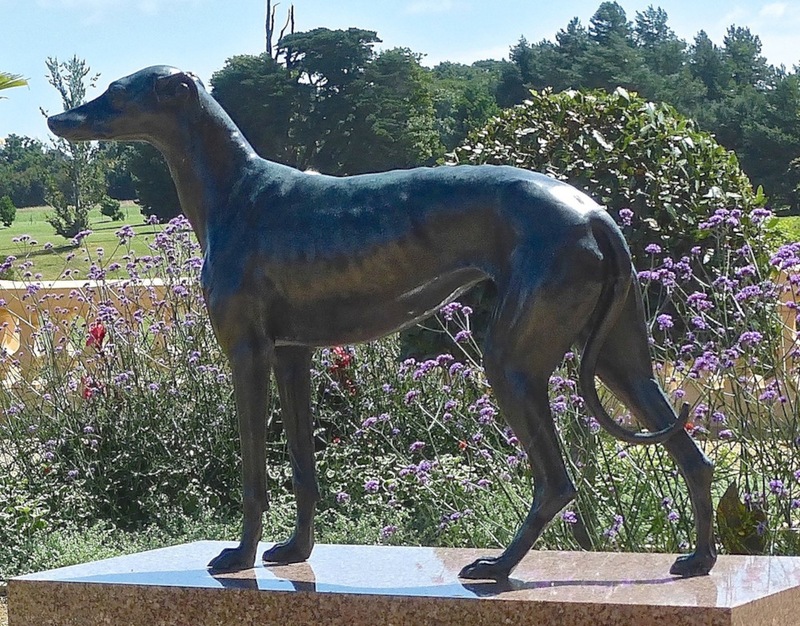 Two bronzes were cast: the original one stands over the dog's grave in Windsor Castle's Home Park (see Allen). The statue in its setting. Allen, Sylvia. Details of Sculptor (John Francis). Henry Moore Foundation. Web. 21 August 2017. Fagan, L. A. "Francis, John (1780–1861)." Rev. Adam White. Oxford Dictionary of National Biography. Online ed. Web. 21 August 2017. Marsden. Jonathan. Victoria & Albert: Art & Love. London: The Royal Collection, 2010.